Philippe Chartrand is a 28-year-old Canadian traveler who was born and bred in Ottawa. He now works in politics but has had a strong interest in other cultures and countries since he was very young. 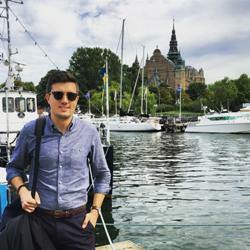 After visiting and falling in love with Stockholm, Sweden in 2014, Philippe is here to share a mini Stockholm travel guide based on his experience. Hej hej! Mitt namn är Philippe och Jag är 28 år. I just told you in Swedish “Hi! My name is Philippe and I’m 28 years old”. There, now you know some Swedish. I’m born and raised in Canada’s capital, Ottawa. I studied political science and history at the University of Ottawa and currently work in politics. Ever since I was young, I had an interest in learning about countries and cultures. My first trip to Europe was a 10-day school trip to Italy in 2006. It was a life-changing experience, but it wouldn’t be until after graduating from university in 2013 that I would return to Europe. Since then, I’ve traveled back numerous times and visited 18 countries. When time permits, I like to travel and explore different places, especially the more “off the beaten path” destinations or parts of a city. 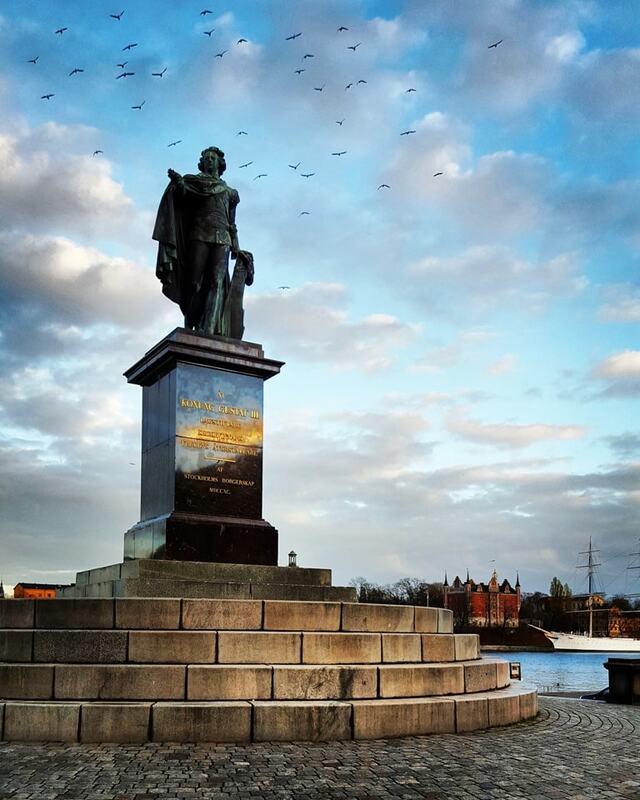 When did you first visit Stockholm and where did you go? I first visited Stockholm in July 2014. I was visiting a friend and was there for 4 nights and I saw quite a lot, including a day trip to the lovely town of Uppsala. Skinnarviksparken (amazing lookout point – one of my favourite spots). 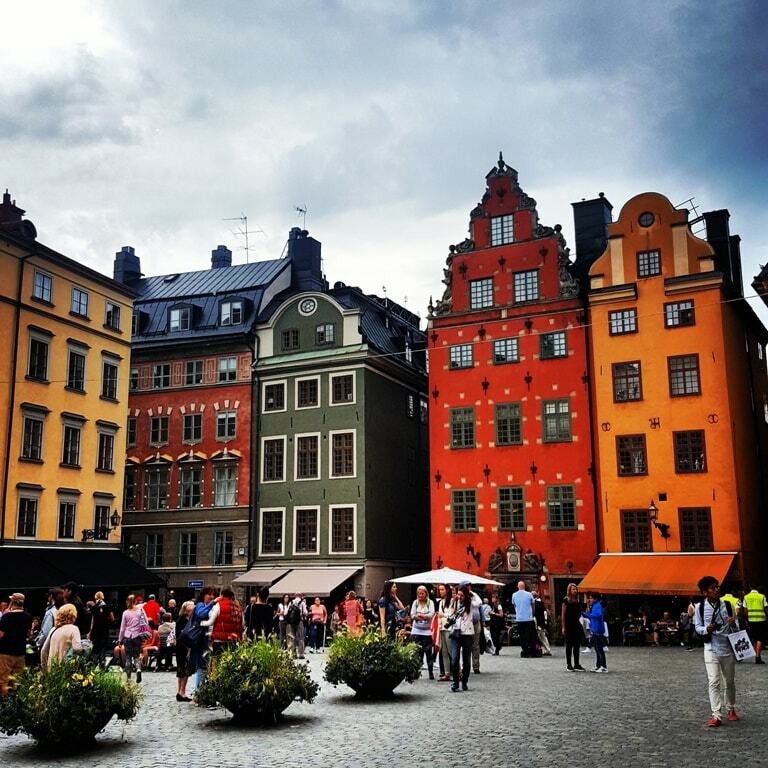 What was it that made you fall in love with Stockholm and did it inspire you to return? Stockholm is laid back, yet elegant and sophisticated. I’m drawn to the architecture, the water and the Scandinavian lifestyle. The city is simply beautiful in every possible way. I feel at home and in my element when I’m in the city. The architecture is a great mix of colour and texture with a uniquely “Scandinavian” feel. The city itself is on an archipelago and made up of islands connected by bridges and canals. This means there is water and boats everywhere and you are never very far from it when exploring the central district and its main attractions. The water also makes the city feel “fresh ”. Although Swedes are more reserved, they are some of the friendliest and easy going people I have ever met. Not to mention, Stockholm is stylish, both the people and the interiors. People simply enjoy life in Stockholm. Cafes and restaurants are everywhere and open late, people linger and take their time, which is great – you don’t feel rushed. There is always something to do in Stockholm and it’s enjoyable to simply take it easy and walk around the city. 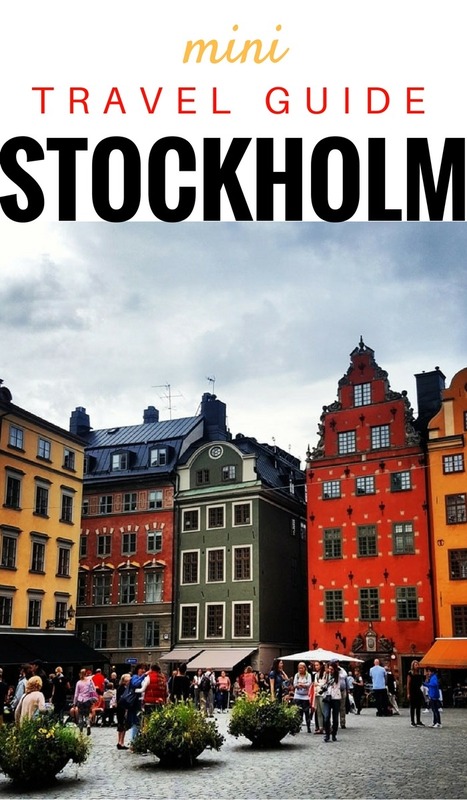 Your absolute top things to do in Stockholm? 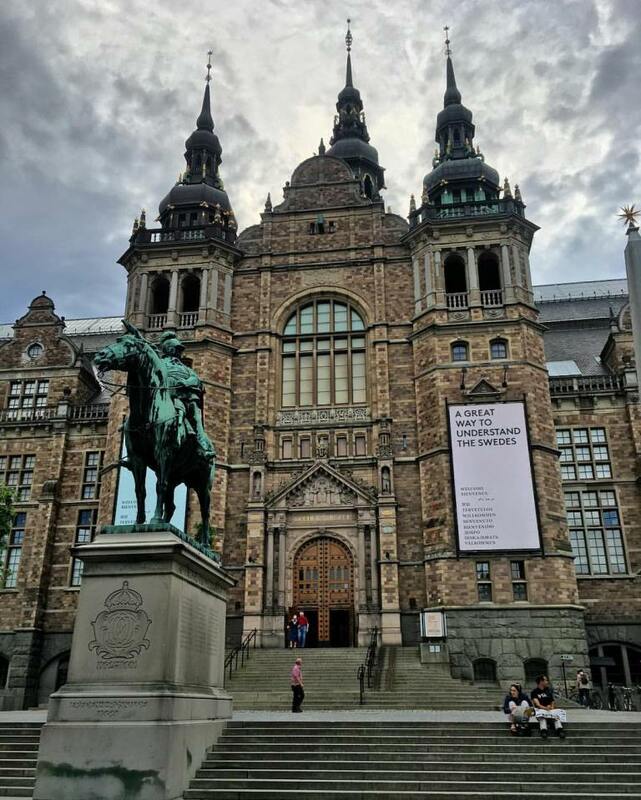 Visiting Gamla Stan and Kungliga Slottet, exploring Södermalm, City Hall and the Vasa Museum are all musts in my opinion. The view from Skinnarviksparken is stunning and worth the walk! If you’re into old maps and prints, you should check out Antique Maps and Prints, located at Köpmantorget 2 in Gamla Stan. But if I could tell you one thing to do in Stockholm – whether you are there for one day or 10 – that would be to walk. Stockholm is a very walkable city and exploring on foot is my favourite thing to do. Especially if you are into photography like me, you’ll love walking around taking pictures while enjoying the views and watching the locals. Stockholm is sometimes called the “Venice of the north”, and you really experience that by taking one of the many harbour boat tours. Experiencing the city’s café culture is a must. Swedes love their fika (going for coffee), so sitting at a café with your “kaffe och Chokladboll’’, while writing some postcards, updating your travel journal or simply people watching, is a great way to take it all in. Just take it easy and watch the world go by – don’t rush, relax and let Stockholm come to you. One of my favourite trips to Stockholm was in mid-November of 2015. Although the weather is apparently “hit or miss” that time of the year, I rather enjoyed it. The air was nice and crisp, some days were very sunny and others cloudy, but never too cold, just the right temperature for sightseeing. The streets were beautifully decorated with Christmas lights and decorations, and so were all the stores and shops. Almost every square had a huge Christmas tree (Julgran) and beautiful garlands and lights hung over the streets. The restaurants and cafes had nice cozy and festive atmosphere, perfect for enjoying afternoon fika after some Christmas shopping or sightseeing. Overall, there was a festive and warm atmosphere, a perfect way to get into the Christmas spirit. Christmas time in Sweden, let alone Europe, is quite an experience to do at least once! Another great thing about Stockholm is the food. A great restaurant for authentic Swedish cuisine is Kvarnen, located in Södermalm at Tjärhovsgatan 4 (next to Medborgarplatsen). 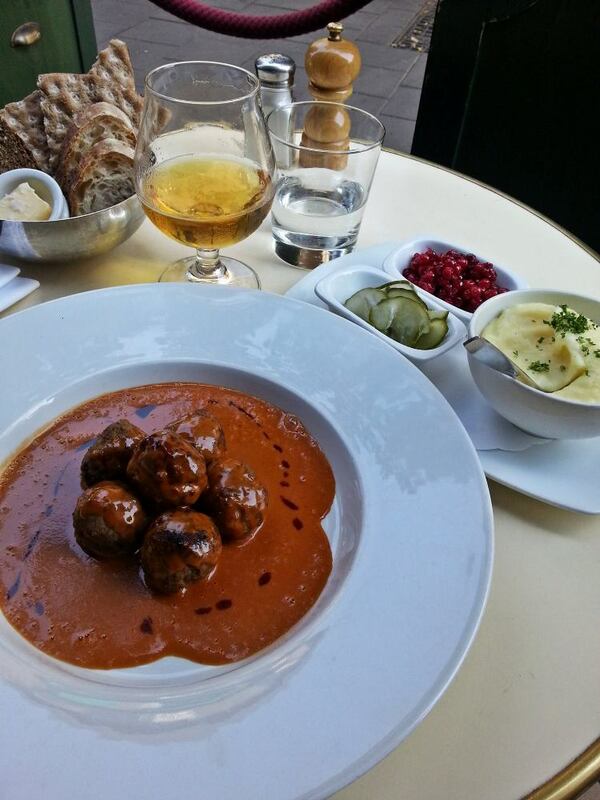 You can enjoy delicious Swedish dishes such as Ren- och Viltskavspanna o Kvarnens Köttbullar. Lastly, head over to Nordiska Kompaniet department store or Kungsträdgården and enjoy a Tunnbrödsrulle, they are an amazing snack; you’ll wish IKEA started carrying them back home! You also need to go and try Sweden’s version of Mcdonalds, Max Hamburgerrestauranger. A beautiful Scandinavian summer sunset over Stockholm’s Gamla Stan (Old Town) seen from Ekens Uteservering. What challenges have you faced in Stockholm and how did you overcome them? Should people planning to visit Stockholm be aware of these challenges? I personally haven’t come across any challenges. In terms of language, I know enough basic Swedish to get around, but virtually everyone in Sweden speaks impeccable English, so there is no language barrier in that regard. Regardless of the level of English somewhere, I just find it fun and polite to learn some key words and phrases in the local language when traveling. The only thing I could think of is that Sweden is largely a cashless society. People use their debit/credit cards for everything. While cash is accepted in many places, there are just as many places that don’t take cash, and even the places that do, they prefer credit or debit. So make sure you have a debit/credit card (with a chip and 4 digit PIN) when in Sweden. 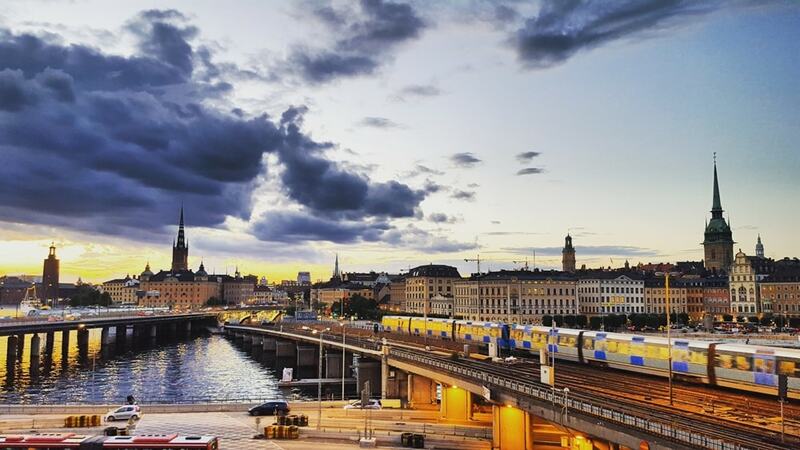 In your opinion, what is the best way to travel in Stockholm and why? Although Stockholm is a somewhat expensive city, I think it can be enjoyed on any budget. 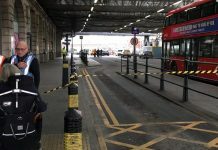 I’m not big on tour groups, to be honest – I find them somewhat restrictive and impersonal. Obviously, if you have friends or family, stay with them, you will experience the city in a very authentic way! 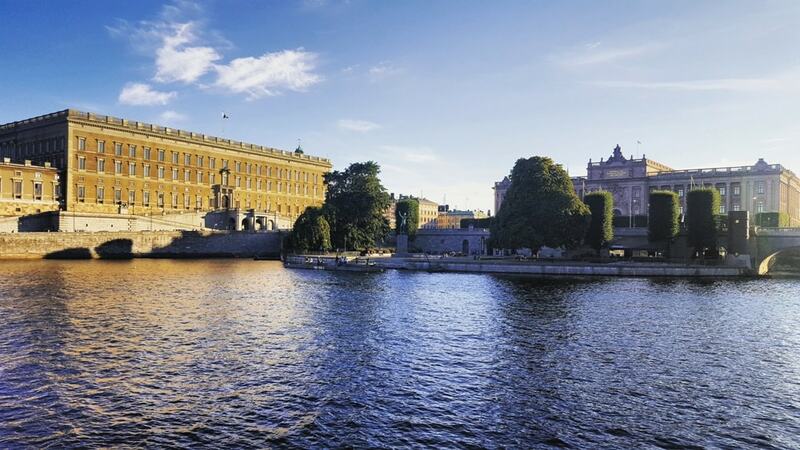 Luxury accommodations are great, but you can experience Stockholm just as much with budget accommodations, it really comes down to where you want to spend your money. Obviously, restaurants and shopping will be pricey, but you have much variety in Stockholm on either end of the luxury budget spectrum. Swedish Meatballs with mashed potatoes, lingonberries, pickles, fresh rye bread, and Swedish beer at Bistro Jarl Restaurang. Based on this, what is the approximate cost of traveling in Stockholm? View of Kungliga slotted (The Royal Palace) and the Riksdagshuset (Parliament House) seat of the Riksdag, the Swedish parliament. Your top go-to resources for booking flights, accommodation and tours in Stockholm? For flights I use Hipmunk, Sky Scanner and Hopper. For renting out an apartment or a hotel room, I use Airbnb and Expedia. If I’m not staying with friends, I usually stay in a hostel because I find it’s the best way to meet other solo travelers, for that I use Hostelworld. Staying in hostels also helps to save money that you can put towards other travel experiences. One tip I would give you is to stop at the main tourist information center upon arrival to any city, even if it’s your second, third or fourth time somewhere! They are great a resource to help you get oriented and know what’s going on in the city. And finally, do you have any last words to inspire everyone reading this to travel to Stockholm? 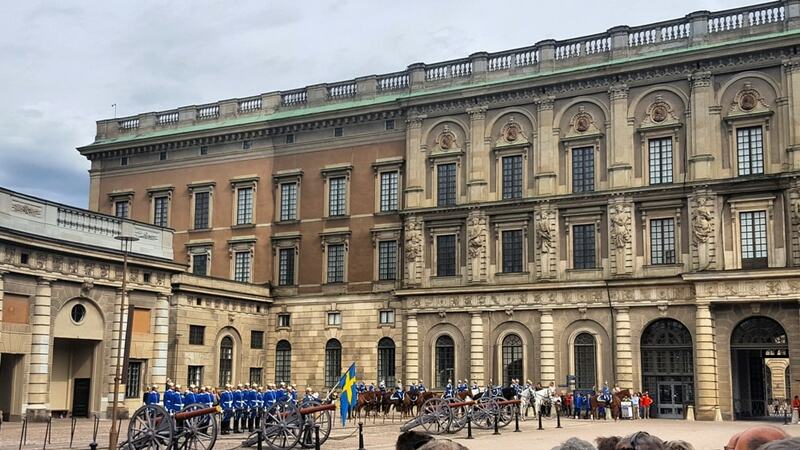 Sweden is a beautiful country with a rich history. Stockholm is charming, with its canals, bridges and old buildings. Stockholm is the epitome of Scandinavia, that is, elegant in its simplicity. It’s beautiful, clean, historical yet modern. The people are some of the friendliest and sophisticated people. The coffee culture is probably one of the best in Europe and if you’re a foodie, the city provides a wide range of gastronomic experiences. From traditional Swedish dishes to exotic ones from far away places. You can find some great fusion cuisine, combining traditional Scandinavian dishes and ingredients with foreign ones. Don’t be “scared off” by people saying it’s “too expensive’’. Although it’s definitely not as cheap as Eastern Europe or the Balkans, it’s not impossible to travel there on a budget. You just have to be smart about where you are willing to spend your money. Scandinavia should definitely be on your travel list, especially Sweden and its beautiful capital, Stockholm. Ha det så bra och Hej då! 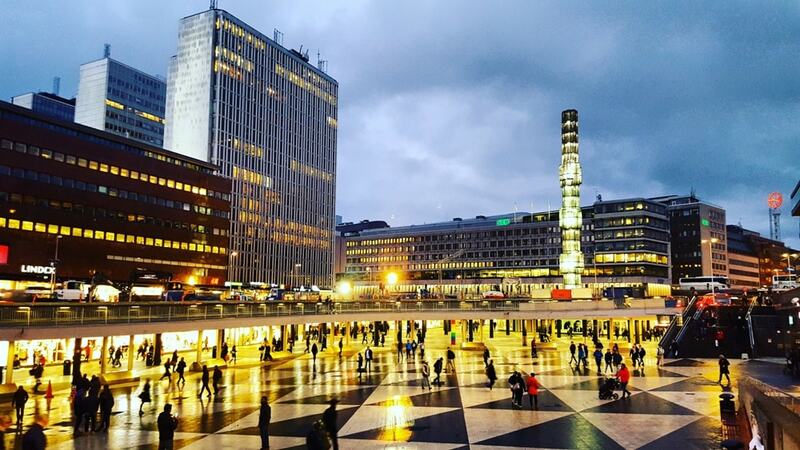 Philippe, thank you for sharing this helpful mini Stockholm travel guide! To learn about Philippe’s next adventures around the world, remember to follow him on Instagram: @pvchartrand and Twitter: @pvchartrand. To start looking at your accommodation options in Stockholm, choose Hostelworld for budget, Hotels Combined for comfort or Airbnb for local (and get $25 off). If you are flying to Stockholm, it is beneficial to use a flight compare site to find the cheapest flights. We recommend and use Cheapflights.com. Do you have a question about traveling to Stockholm? Or know some more good tips to add to the Stockholm travel guide? Let us know below! 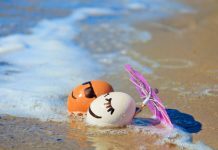 Previous articleHow to Travel the World with a Mortgage?